The 'Super Bee' 6-person high speed lift is directly in front for a true ski-in/ski-out location (1 minute 30 second walk!). Very convenient to hit the slopes, take breaks, back to eat lunch, and add/shed clothing. The Tubing Hill is right in front too. The hot tub is under a 1 minute walk, and can watch all the slope side action. The Copper Station Day Lodge is the building right next door for lift tickets, ski rentals, two restaurants and bars, apres-ski entertainment, coffee shop and shopping. See our Google Earth picture to see how close the unit is to everything. There is lots of room in this very large 1300 sq foot two-level townhouse. We have a L-shaped leather couch that will sit your whole group. Large kitchen and dining room. Condo sleeps 8 in 6 beds. There are not many units are sharing the 14-person hot tub, so nice and private. Two parking permits, one for designated parking spot for our unit, and one guest parking spot. We have an extra large ski locker on the ground level. For summer, our townhouse is right on the Copper Creek Golf Course with golf carts at Copper Station next door. Copper Station hosts summer weddings. Copper Mountain offers lots of summer activities. Two families share ownership of this townhouse for 25 years now. We love Copper Mountain! We chose this property because it's ski-in/ski-out and golf-in/golf-out! We liked how large the place was...big kitchen, separate dining room, big living room, tall ceiling with great views. We liked the privacy of a small complex so rarely see others in the hot tub. Can't beat the location with much fun offered right out the door. We maintain the condo as a high end unit. In the East Village of Copper Mountain. Village Point Townhomes is in a true ski-in and ski-out location. 1 minute 30 second walk from ski locker to lift line! 2 parking passes. One designated for our unit and one in first-come-first-serve guest spot. Right on the golf course. First and last hole is right outside of Village Point. Private hot tub just for the guests of Village Point Townhomes (small complex). Very large and 4 feet deep. Great place to stay for our group of 7. We had friends in the Center village and this condo was the perfect location to rent skis, jump on the Superbee lift, or hop on the bus to go to center village. Awesome condo. Very close to lift. Clean. Great to deal with owner. 5 stars! Comfortable condo with a nice home like feel. Well equipped. Super convenient, clean, and very comfortable beds. Check in/out very seamless! Condo was very comfortable and worked well for our family trip. Kitchen was fully stocked with pots, pans, plates,etc and bathrooms had plenty of towels. Communication with owner was smooth and all the instructions were simple and clear. The location was fantastic - right near the rental building and bus stop. Loved how easy it was to find everything. I would definitely recommend this property. Park the car, ski, eat, and sleep for a week! Location is the draw. Covered parking underneath the condo. 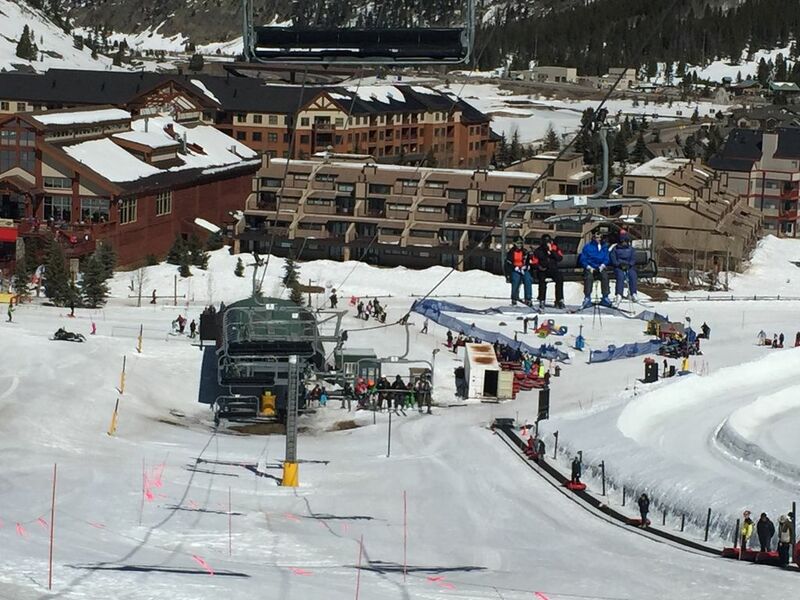 Three minute walk in ski boots to the Super Bee lift. 90-second walk in regular shoes to good eats. Clean, well-appointed condo. Need more than that? Good luck. Convenient central location within 20 minutes of Vail, Breckenridge and Keystone ski areas and towns.